Originally from Palmdale Bill soon hooked up with other hot shot players and future Magic Band members from nearby Lancaster. As a child he’d had accordion lessons but switched to the guitar in his early teens playing in local bands. One of these bands, B.C & The Cavemen, included Mark Boston on bass, another, Blues In A Bottle was with Mark again as well as Jeff Cotton. Bill hung around the Magic Band and occasionally jammed with them until finally joining the band in late June 1968 when Alex St Claire left. He stayed until 1974 when the whole band walked out on Don just before a tour. Bill had taken over the transcribing and arranging duties when John French left the band and he provided some of the finest guitar moments ever committed to vinyl. After his attempts with Mallard failed he all but left the music business concentrating on developing his technique and retreating into drink and drugs for a time. He now manages a record store in Eugene, Oregon and teaches guitar. His book Lunar Notes finally helped him come to terms with his experiences in the Magic Band and he is recording again. He was asked by John French if he’d like to be involved with the Magic Band reunion and for a while it looked like he would be part of it. But he eventually declined as he wasn’t interested in the whole touring and playing hassle. 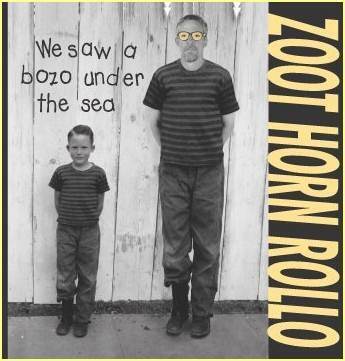 2001 US CD We Saw A Bozo Under The Sea Bill’s first solo album, and he’s released it as Zoot Horn Rollo. If you’ve got the Cucamonga book you will have heard one track already but there is a diversity of styles here with Bill showing his versatility and maturity as a fine guitarist. A collection of photographs of the High Desert area associated with Beefheart. Short CD has one track by Bill called “Don’s Secret” (which would later appear on Bill’s solo album), also single track contributions from John French and Gary Lucas plus a recording of the ambience around the Woodland Hills Trout Mask house. 1992 US CD Slide Crazy on Sky Ranch/Rykodisc RCD 10346. 2003 CD Rockette Morton : Love Space on Bomark Studios BS8981. Bill makes ‘a special appearance’ on one track of his former Magic Bandmate’s solo album. 2008 CD Drumbo : City of Refuge on Proper Records. Bill provides some brilliant guitar work on John French’s solo album. 1994 CD John French : Waiting on the Flame on Demon Records Fiend 759. Bill plays lead guitar on four tracks. This is another of Billy James (aka Ant-Bee)’s eclectic sound collages of different musical genres mixed to form a fascinating whole. Bill Harkleroad (billed as Zoot Horn Rollo) performs a self-penned instrumental called Mallard Flies Towards Heaven. This is an upbeat country blues style piece with some fine slide work which for some reason has faux-scratches added to the mix to make it sound like an old blues 78 although Mark Boston’s thundering bass makes it obvious that it certainly isn’t. Bill (listed as Zoot Horn Rollo) plays a guitar solo (about 2:30 minutes in) on the track ‘Alive’. Another odd release from William Shatner with this one having guest appearances from numerous ‘prog’ musicians! 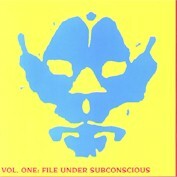 1997 UK CD Institute of Formal Research Volume One: File Under Subconscious on Bubblehead Records BH005. Bit of a curiousity this one, Bill plays on three tracks – ‘Resonator’, ‘The Navigator’, ‘In This Episode…’. Put together by UK film composer Steve Parsons, a long-time Magic Band fan, who apparently just telephoned Bill asking him to play on the CD and he said ‘Sure’! Also includes other well known guitarists Mick Taylor and Chris Spedding. Heads-up: the 1999 offsite interview with ZHR is wrongly credited – it was conducted by Morgan Ågren the drummer. Hey, Bill! Love your perspective. Shame we don’t live closer, I’m a bass player and golfer as well. We share several key life interests. Love and Mercy. Wikipedia lists “Masks” as a 2014 Bill Harkleroad solo release, can’t find any copies or information on this. Can anyone there provide some information on this? The ‘Masks’ tracks were only available as a download from Bill’s website – http://www.zoothornrollo.com/ – they don’t seem to be there anymore now.